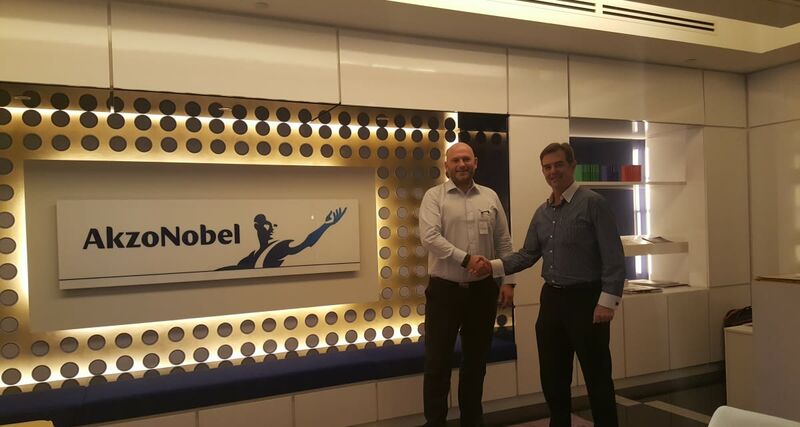 Valhall has today signed an agreement with Akzo Nobel, International Paint. The agreement was signed in Singapore by Valhall CEO Trond Soltvedt and International Paint Business Director - Protective Coatings South Asia, Jeff James. This agreement makes International Paint to the exclusive distributor of Valhall Gel products in the following countries: Singapore, Malaysia, Indonesia, Phillipines, Thailand, Vietnam, India, Australia, New Zealand and Papa New Guinea. With International Paint’s distribution net and sales force, this agreement will make Valhall’s products easilly availible in several new areas. This agreement is a result of a long and good cooperation between International and Valhall and is yet another quality stamp for our products.